Fly at the amazing Bristol International Balloon Fiesta amongst up to 140 balloons. 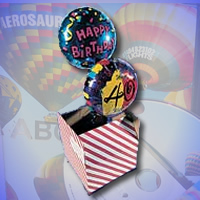 It is a unique feeling flying alongside so many other colourful balloons, weather permitting! Vouchers are valid for 12 months and include Champagne, flight pack and a personalised flight certificate. 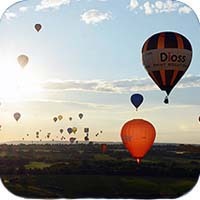 The 40th Bristol International Balloon Festival from 8th – 11th August 2019. Be part of the magic and take off in a spectacular mass ascent of 130 balloons flying from the Bristol Balloon Fiesta! 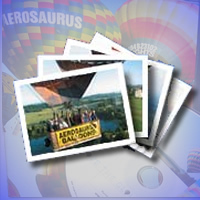 In flight photos can be purchased as a memento of your flight (£20). We can also arrange exclusive flights for 2 from the Fiesta and transport to the site including by helicopter, or arrange VIP parking, meals, hotels, corporate hospitality packages, just ask and we can arrange it for you! Book your balloon flight online or call us on 01404 823102 to purchase your Festival Balloon ride today!